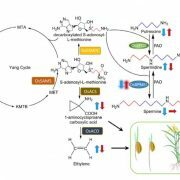 The volatile plant hormone ethylene plays a regulatory role in many developmental processes and in biotic and abiotic stress responses. 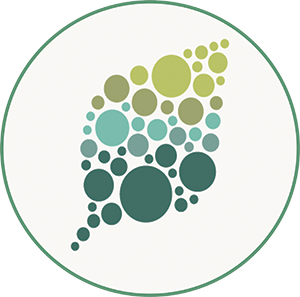 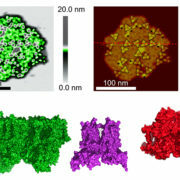 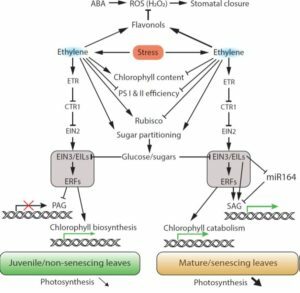 One of the under-explored actions of ethylene is its regulation of photosynthesis and associated components such as stomatal conductance, chlorophyll content, light reactions, carboxylation events, carbohydrate partitioning, and age-related senescence. 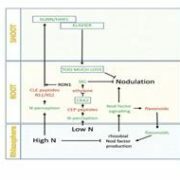 In this update, we summarize the current knowledge concerning the regulation of photosynthesis, focusing on the model species Arabidopsis thaliana. 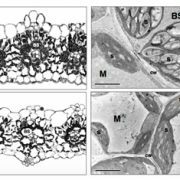 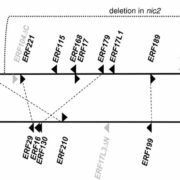 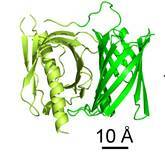 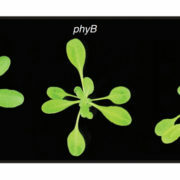 We describe how ethylene directs photosynthesis in juvenile non-senescing leaves and mature senescing leaves. 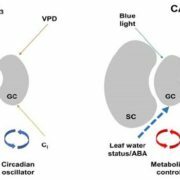 Furthermore, we extend these insights to other types of photosynthesis (C4 and crassulacean acid metabolism) and highlight the species-specific effects of the physiological action of ethylene on this complex metabolic pathway.